Our members are recognized by our chapter, district, state, and national organization for their volunteer contributions. These recognitions are earned through participation at any level. 2014-15 Chapter President Patti's Member of the Month recognition is titled, "You Make Me Smile". Cindy U had extreme dedication to make the transition of President to President go smoothly. She motivates the chapter president stay motivated with gentle encouragement and tips for a great year with updates to the membership roster and history for the plan of action. Good Luck to Cindy in the National Ring of Leadership! Karen attends every event with a smile and a can do attitude. 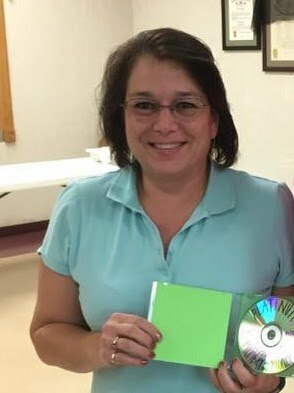 She serves as chapter treasurer and always helps those in need with computer tips. She is fabulous in the creative art of card making and sends out cards on behalf of the chapter. Karen is a co-leader in the best fundraising, social , and member recruitment with the Craft, Paper, Scissors project in the Fall each year. BIG THANKS! 2013-14 Chapter President Cindy's Member of the Month recognition is titled, "Catch of the Month". 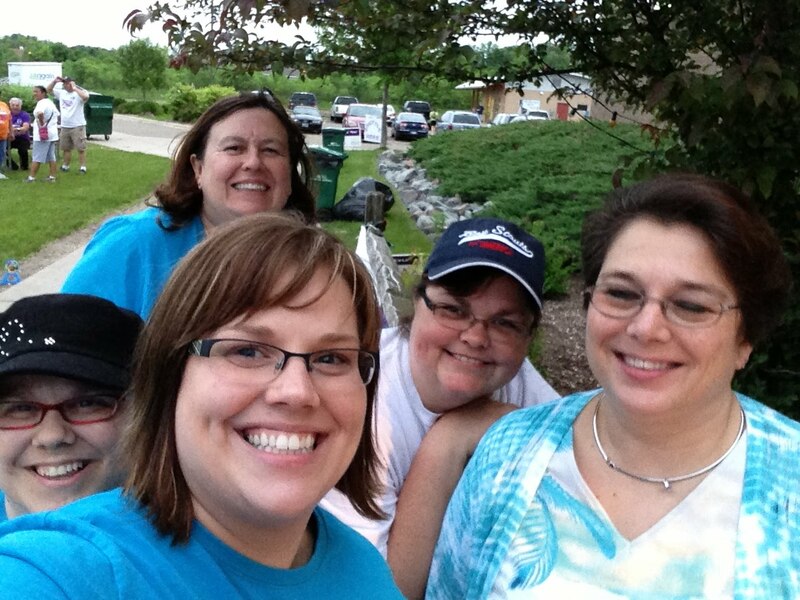 Cindy U, chapter presidents, says: "This member is there whenever you need her, she is just a phone call away. She always sends out reminders and comes up with lots of new ideas. Thanks for helping us 'Sea all our Opportunities' in The St. Cloud Area." Cindy U, chapter president, says: "This member is a real catch! She worked on the chapter website and is helping get our chapter up to date. She is also a good friend." Cindy U, chapter president, says: "This member has been traveling all over. She attended LOTS (Local Officer Training Session), district meetings, MNWT state conventions, and also traveled to her first USWT national convention held June 2013 in Fremont, Nebraska. She also took time to train her successor on the role of chapter president." This award is the highest recognition in the USWT bestowed on a local member who has been a WT member for a minimum of five years and is similar to the MNWT Key Women award. A member may not seek this award and it is a secret recognition with the nomination reviewed by the USWT Ambassador Review Committee. Chapter Presidents, State Delegates, and MNWT Executive Council members are honored with Presidential Medallions to recognize the officer who has given outstanding effort or gone the extra mile as a leader. Any member can nominate an officer for a Presidential Medallion. Nominations are sent to the MNWT State President. Only 50 medallions are awarded each year. The Presidential Pin honors any member who has demonstrated exemplary performance on the local, district, state, or national level of the organization. Any member can nominate another member for a Presidential Pin. Nominations are sent to the MNWT State President. Only 100 pins are awarded each year. Key awards honor Chapter Presidents, State Delegates, and MNWT Executive Council members who submit an outstanding Year-End Individual Entry which outlines their achievements and activities in their leadership role. Bronze, silver and gold keys are awarded based on overall performance of job duties and preparation of submission. Local Program Managers (LPMs) are recognized for great work in their specific programming area. One LPM from each programming area is awarded at each state meeting and selected from all the LPMs across the state. Chapter Presidents and District Program Managers typically nominate LPMs for this award. State Program Managers typically nominate DPMs for this award.